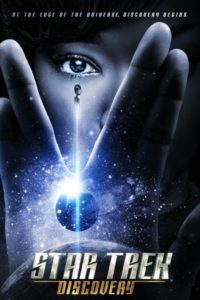 Why all the hate for Star Trek: Discovery? As one of the people who really isn’t a fan of Star Trek: Discovery I thought I might articulate why I dislike the show so much. It has come up in a number of different forums so it seems like it is worth saying. So lets start with something positive. I think Discovery looks gorgeous, the effects are top notch, the costuming and the makeup is likewise very well done. Everything just looks beautiful. I get why people may not like the Klingons and the changes that were made, but in terms of makeup and costuming for them, it really is well done. I cannot fault them for going the distance on making it look gorgeous. The problem is that they took this and then wasted it on bad writing and poor direction. I would really like to know which person thought long stilted sections of subtitled Klingon was a good idea. Every scene in the show with long sections of subtitled Klingon just drives me up the wall. Why they didn’t just subtitle first couple of lines and then do the usual “Klingon English” they have always done (Normal English with “Qapla!” and the like thrown in every so often) is a mystery to me. The Klingon scenes would be much more enjoyable if they had done this and they wouldn’t drag like they do. The other major complaint I have is with the writing. The show is slow, and I like old school B&W Twilight zone and Outer Limits, so my tolerance for slow is fairly high, but this show is paced like treacle. On top of that, the characters are inconsistent and badly so. There are two examples from the two part pilot that illustrate the problem. In the pilot Captain Georgiou, and First Officer Burnham come to blows over how to deal with the Klingons and this sets off a series of events that hilight just how awful the writing is. At first Burnham has credible evidence that attacking the Klingons is the right course of action, a punch in the nose to demonstrate Starfleet is not a push over. Georgiou reacts with horror at the suggestion of shooting first, going so far as to say that Starfleet would never do that. Even though there is good evidence to suggest that the Klingons will treat this as an act of weakness and start hostilities as a result. She puts her principles and commitment to nonaggression above the safety of her crew. This is a principle she thinks it is worth sacrificing her life to uphold. Whether you agree with the choice or not, the Captain has been setup as a character who values her honour and integrity above even her own life. Next we have First Officer Burnham who tries to stage a mutiny in an effort to stop the Captain making a tragic mistake. She is literally trying to prevent a war and is willing to risk everything, her career, her life and her friendship with the Captain to do it. She likewise has been setup as a character who is willing to sacrifice everything she holds dear in an effort to prevent a preventable war. I can respect both characters commitment to doing what they believe is right even to the point of sacrificing everything they hold dear. Then the writers have these two characters engage in wildly out of character behaviour. The Capitan, the women who would risk her like and the lives of her crew to uphold a principle of non-aggression engages in something that when done on earth is regarded as a particularly dishonourable and heinous war crime. She booby-traps a dead Klingon to gain a tactical advantage. First Officer Burnham likewise says it is absolutely imperative they not kill the Klingon leader but capture him, or else they will turn him into a martyr and make the war worse. Then Burnham, after stressing the need not to harm him, goes and deliberately switches her phaser to kill and shoots him. I can believe a character would not fire first on principle and I can believe a character would bobby trap the dead as an action of desperation when their back is to the wall in an effort to survive. I can believe a character would throw away everything dear to her in an effort to prevent a war and save lives, and I can believe a character would kill an enemy who murdered her friend even knowing it would start a war. But in both cases, I cannot believe the same character would do such wildly different things in each case though. If Captain Georgiou was willing to risk everybody’s lives in an effort to do the honourable thing and not fire first, she wouldn’t do one of the most dishonourable things, desecrating war dead. If First Officer Burnham would throw away everything to prevent a war, she would not then throw that away in a moment of anger. At this point in the conversation I’m usually told, “Well just don’t watch it then” but it isn’t that simple. I grew up on Star Trek The Next Generation, I’ve watched all 28 Seasons of live action Star Trek plus all 13 movies and enjoyed it all (Mostly, nothing is perfect but overall the experience was positive). I’ve also watched a lot of the fan made continuing material and have found that to often be excellent. So I really wanted Star Trek Discovery to be good. I keep watching it hoping they will turn it around and in the end I will look back and go “Wow … this is the best series of Star Trek ever!” even just, “Hey that was fun, I would watch it again.” I keep wanting the writing to justify the effects budget. But more than that, I don’t want it to descend into a morass of heavy-handed social justice nonsense like Marvel comics have. Marvel has degenerated into pushing the fashionable nonsense of the week and this is done at the expense of story telling. Star Trek has often been preachy in the past, and rarely in a direction I liked, but I still enjoyed the show because good storytelling can over come that. I dont want it to become tainted with such nonsense because it will ruin all of it. All of it will become infected as a result and that will be tragic. The legacy of Star Trek will be damaged and it will all become less enjoyable because you know where it ended and how it was ruined. So I keep watching hoping I will be proved wrong, that my fears will not be realised, because the day I turn it off and say “i’m done with this, its garbage” will be the day Star Trek as a whole will be dimished for me and all of it will be made less enjoyable knowing how it ended. I really wanted it to be amazing and hope it will turn around and that disappointment is what drives the hate for what has been produced, because it should have been amazing.